I recently ordered some books from Amazon, and this was one of my first choices. 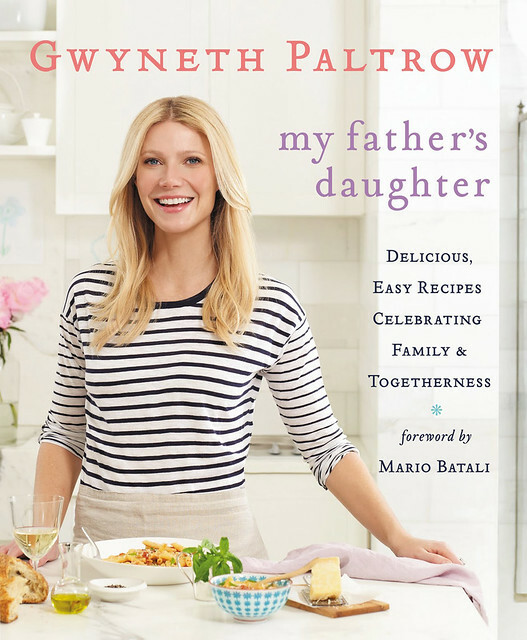 I love to cook, and I love Gwyneth, so it just made sense. Not only is it a beautiful book, but the recipes in it are AMAZING. So far I've only tried one recipe, Fried Zucchini Spaghetti, but we loved loved loved it. This will officially become part of our regular go-to meals. And I love a good vegetarian dish :) Here's the recipe! Boil the spaghetti in salted water until just al dente. Meanwhile, toss the zucchini with flour. Heat the ¼ cup of olive oil in a large nonstick frying pan over high heat and add as much zucchini as will fit in a single layer. Cook, stirring and flipping occasionally, until well browned and a little crispy, about 4 minutes. Remove the zucchini to a plate and sprinkle with coarse salt. 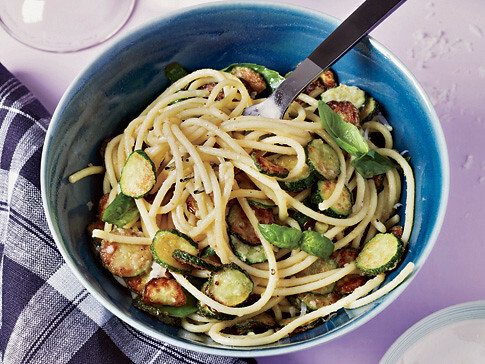 Repeat until you’ve cooked all of the zucchini. Whisk the cheese together with the remaining 2 tablespoons of olive oil in a large mixing bowl. Whisk in 1/4 cup of the pasta water, adding a bit more if necessary. You want the consistency to be creamy. Drain the spaghetti and add to the bowl with Parmesan mixture. Toss together, season with salt and pepper, and fold in two-thirds of the fried zucchini and all of the basil.